A while back, I wrote a post about It’s a Wonderful Life. Because this movie is important to me, I’d like to talk about it again, but this time, from a more personal perspective. One thing that sets this film apart from all the other Christmas specials I watched growing up is that it takes place in an adult world. 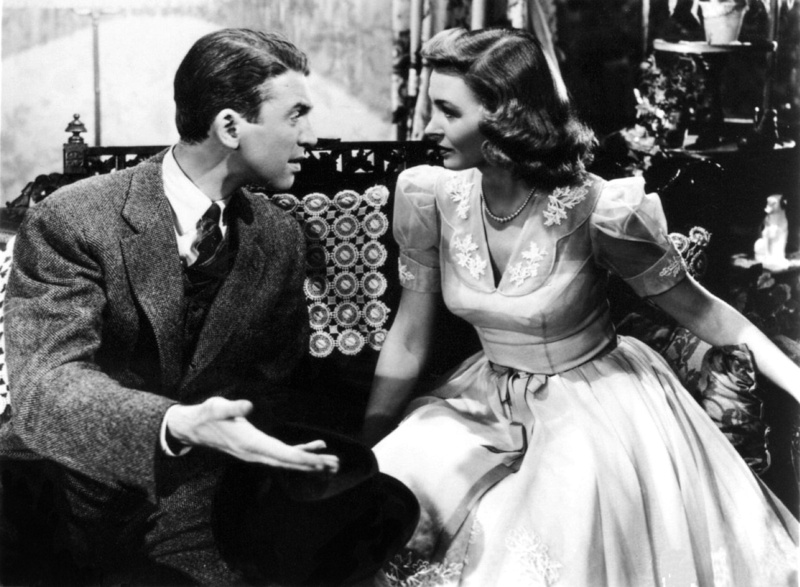 Unlike Rudolph the Red-Nosed Reindeer or Frosty the Snowman, It’s a Wonderful Life is pretty firmly grounded in reality. Its characters face social and economic problems, ones that many if not all of us face at some point in our lives. Because the film takes place in a very real world, it imparts some mature lessons and some unpleasant truths. And, as a film that shines such a revealing light on humanity, it can be a bit startling for children who, up until that point, had only been exposed to gentler tales. When my father was around five years old, he wandered into his living room while It’s a Wonderful Life was playing on his family’s black-and-white TV. He only saw one scene and was disturbed by what he saw. The scene he happened upon featured the druggist, Mr. Gower, flying into a drunken, grief-fueled rage and repeatedly smacking young George Bailey about the head. My young father watched in horror as an adult—someone who was supposed to be a caretaker, a guardian—beat a young boy until blood trickled from his injured ear. This scene conveys harsh truths: adults are not the infallible idols we make them out to be as kids, nor do they guarantee safety and stability. While the comment is half made in passing, and is mostly a product of his preoccupied mind, it bothered me all the same. Like most normal kids, I thought I was the center of my parents’ universe. Right or wrong, this scene planted in my brain the idea that kids were an intrusion in the adult world—an interruption of what would have been a happy relationship between two people. This scene forced me to consider the possibility that parents could be happier without their children (a frightening idea to any child). Once the initial shock of this notion wore off, I began to look at families in a different light. I began to understand that contrary to what many of the kid-centric Christmas specials would have me believe, parents were more than just the people who raised their kids. There was love and life B.C.—before children. While that seems like an obvious observation, it was an important one for me as a young child—one that helped me step outside of myself and consider family in a broader, less self-centered sense. I think one mark of a great movie (or song or book or any medium) is that it speaks to you in different ways over the course of your life. I find that now, as an adult in my early 20s, certain scenes speak to me in ways they never have before. The moments that stood out to me during this year’s viewing were the moments when George excitedly describes his career plans to his father or when he gazes at travel brochures with pained longing. As a young adult standing on the cusp of my professional life, I know those feelings of uncertainty, elation, and unease all too well. I feel the weight of my decisions all the more now because they are my decisions, not my parent’s or anyone else’s. I feel for George as he forecasts the consequences of his actions that ripple out into an uncertain future. And while much is uncertain, I know that I’ll continue to glean new insight from this film as I continue to grow and change. 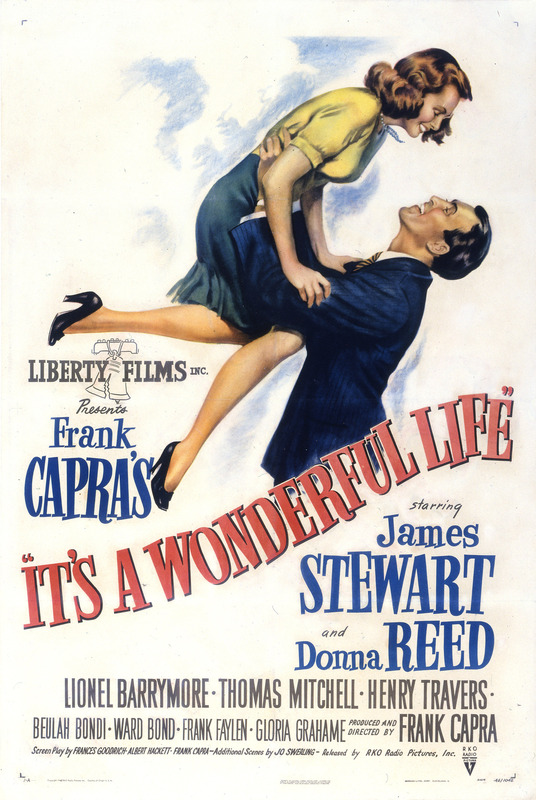 It’s a wonderful life, and I can’t wait to see where it leads. 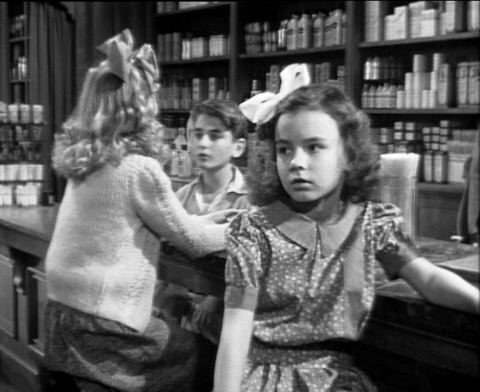 This entry was posted in Movies and tagged adult, child, christmas, it's a wonderful life, kid, parent. Bookmark the permalink. I am just about to share your blog entry regarding this classic in a UK-based film club on Facebook. Hope you don’t mind. I don’t mind at all, as long as it’s still credited to me. Thanks for sharing my work!